Pigeon Forge, Tenn. - Creekside Gospel Music Convention 2017 is once again being held at the Smoky Mountain Convention Center in Pigeon Forge, Tenn. from Oct. 30 - Nov. 2. The four-day event will feature musical guests such as The Nelons and Mark209, and special speakers David Ring and Pat Barker. 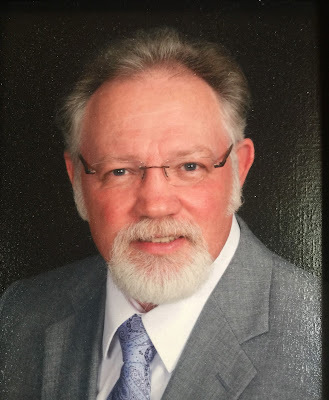 Southern Gospel vocalist Eric Bennett will be a special honoree during the week and the Diamond Awards will also be presented. The Smoky Mountain Convention Center again this year." says Pete Smith, owner of the Convention Center. "We get nothing but rave reviews over the entertainment. The only problem we have is keeping the staff out of the SMCC because they love listening to the great music. I wish all of the events we host were as much fun as Creekside." One of the great features of the Smoky Mountain Convention Center is that it is attached to the Ramada Inn, host hotel for the event. 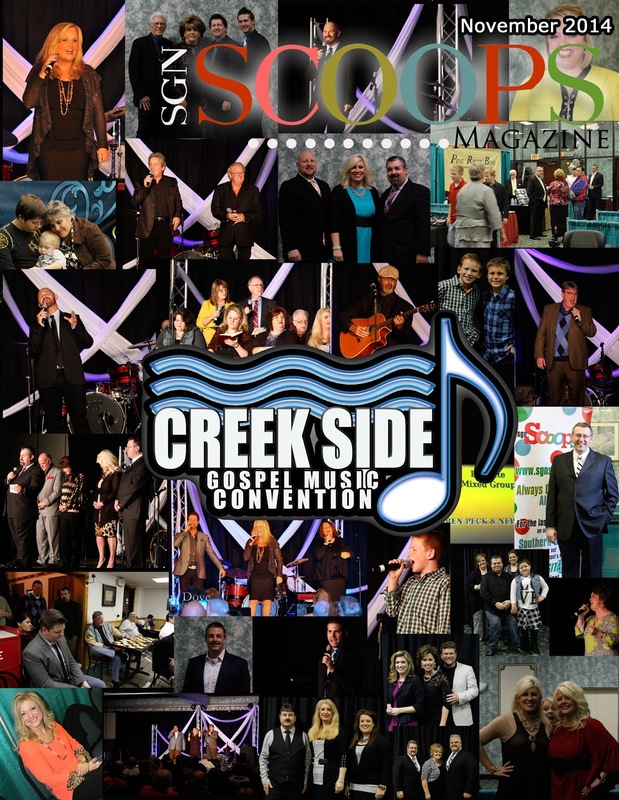 Creekside 2017 will host over 40 Southern Gospel and Christian Country artists for daytime showcases, evening concerts, midnight prayer and the 2017 Diamond Awards. Tickets can be reserved at the website creeksidegospelmusicconvention.com. Accommodation specials at the Ramada Inn can be obtained by calling 360-933-0741. For more information on tickets, lodging and special VIP Tickets, contact Rob Patz at 360-933-0741. Pigeon Forge, Tenn. – Multi-award winning bass singer, Eric Bennett of Triumphant Quartet, will be honored with the Life Achievement Award from SGNScoops Magazine this fall at the Creekside Gospel Music Convention 2017. Eric Bennett has been with Dove Award and Grammy Nominated Triumphant since their beginning in 2003, at the same time being nominated and awarded Favorite Bass Singer many times from different Christian outlets. Eric Bennett is a former pastor who still has a pastor’s heart and has genuine compassion for both audience and artist alike. Bennett comments, “One of the highest achievements is to be honored by your peers. I am truly honored to receive the Life Achievement Award from the SGNScoops Magazine.” The Life Achievement award will be presented to Bennett at Creekside on Monday, October 30, by Rob Patz, Publisher of SGNScoops Magazine and Dr. Jerry Goff. Dr. Goff comments, “I am excited to participate in giving the SGN Scoops Life Achievement Award to a personal friend and a truly deserving artist and minister.” Dr. Goff and his wife Jan will be at Creekside for the entire Convention, October 30 through November 2 at the Smoky Mountain Convention Center, Pigeon Forge. Great Moment At Creekside 2016 Tim Maze and Tina Miller of Canaan's Crossing receive the Diamond Award for Bluegrass Album of the Year. Hopes Journey is a story of faith. 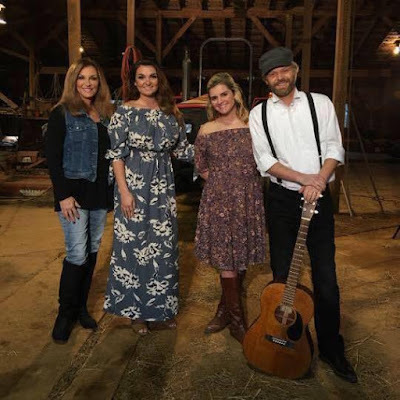 It is the story of how a mother and daughter Vonda Easley and Ashley Easley Franks saw a need for people to be encouraged through Gospel music and they started a journey together. Here you have the seeds of a vision. This mom and daughter believed that Faith is the substance of things hoped for and the evidence of things not seen. Hopes Journey was born. Through the years the dream has continued to grow and evolve until today Hopes Journey is one of the fastest rising groups on the entire Gospel music scene. The calendar is full, the sound is fresh and the “touch” of the Holy Spirit on this group is evident to all. Vonda Easley (group owner and manager) is a first class songwriter and her writing has really taken off. The group’s last radio single, Listen to My Heart (a song Vonda co-wrote with award winning songwriter Jeff Steele) became their first ever NATIONAL chart song. Not only did it chart nationally in The Singing News Magazine but when the song fell out of the charts (as all songs eventually do) two months later it RE-APPEARED on the chart two months later for another national run! One long time observer said “this just doesn’t happen on the radio charts!” It DID happen with Hopes Journey and they believe it is a harbinger of things to come in the future as God just keeps blessing this ministry. Hopes Journey has been the singing home for many wonderful singers in the past. They have all contributed in some way to the ministry of the group. The current Hopes Journey line-up is Vonda,Cody McCreary and Andrew Utech. The anointing is fresh; the songs are powerful, well written and convicting. Are you invited to just hear another group? No, you are invited to “catch the wave.” If you haven’t heard Hopes Journey lately then you might say you haven’t heard them at all! 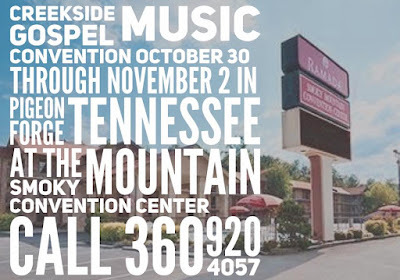 Creekside 2017 takes place from October 30 through November 2 at the Smoky Mountain Convention Center in Pigeon Forge, Tenn. Tickets are free but must be reserved. “Most fans want to stay at the Ramada Inn, which is part of the Smoky Mountain Convention Center, the headquaters of Creekside 2017,” says Patz. “We have an exceptional deal for attendees who book early. For those arriving on Monday the 30th and leaving Friday morning, the 3rd, the cost can be as low as $200 per person, based on double occupancy. Few individuals have felt the crushing blows that have besieged David Ring since birth. He was born to lose. On October 28th, 1953, in Jonesboro, Arkansas, David was born with Cerebral Palsy. Orphaned at age 14, he was cast about from family to family with nowhere to call home. He endured constant physical pain, humiliating public ridicule and constant discouragement. Yet in the face of these seemingly insurmountable obstacles, David emerged not victimized…but victorious! Life was worse than hopeless to him until his relationship began with Jesus Christ who taught him self-respect and acceptance of his physical challenges. To most, physical challenges of this magnitude would prove to be a tombstone. For David Ring, this coming of age was and remains a milestone. You’ve never heard a speaker quite like David Ring. Although difficult to understand at first, you will soon find yourself captured by his quick wit and warm personality. 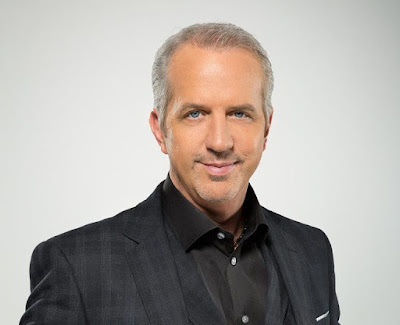 As a nationally known speaker since 1973, David shares his story with over 100,000 people each year at churches, conventions, schools and corporate events. He has been featured on numerous occasions on several nationally televised programs. David's newest book, "Ring" will be out in Books Stores in the Fall of 2014. David and his wife, Karen, make their home in Nashville, Tennessee. They are the parents of four children, April, Ashley, Nathan and Amy Joy. They are Poppy and Bella to two Grandsons. Carter David and Cooper Solomon Stephens and a Granddaughter, Alexandra Jane Stephens. 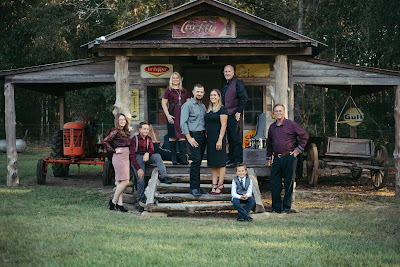 Pigeon Forge, Tenn. – Rob Patz of Creekside Gospel Music Convention, is proud to announce the addition of the award-winning Nelons to the Creekside 2017 schedule. Creekside takes place at Pigeon Forge from Oct. 30 – Nov. 2 at the Smoky Mountain Convention Center. Tickets are free but must be reserved. Creekside 2017 guests also include motivational speaker, David Ring; Pat Barker, who will lead his Pat Barker University; and Mark209, who are favorites at Pigeon Forge. 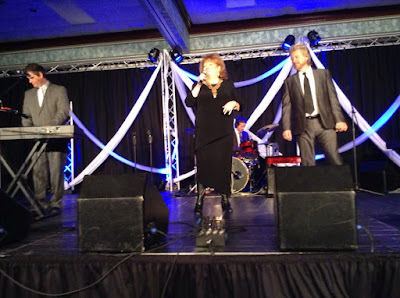 These join over 40 Southern Gospel and Christian Country artists for daytime showcases, evening concerts, midnight prayer and the 2017 Diamond Awards. Tickets can be reserved at the website creeksidegospelmusicconvention.com. 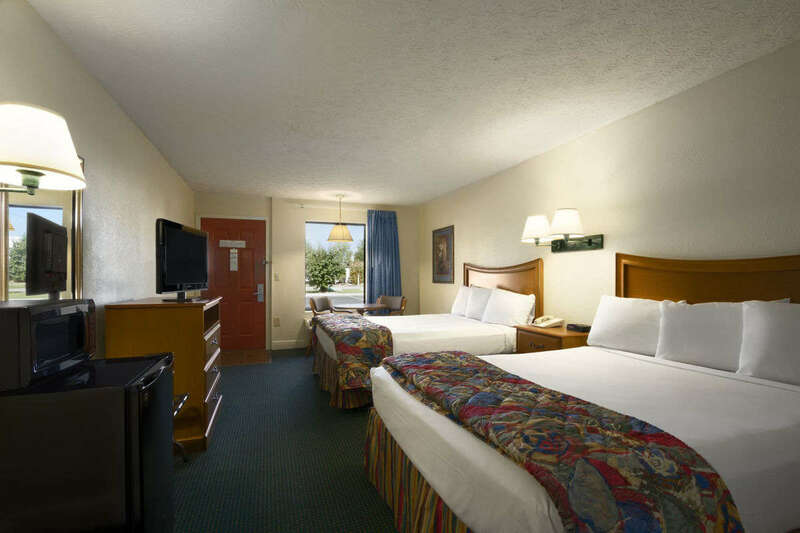 Accommodation specials at the Ramada Inn can also be obtained by calling 360-933-0741. For more information on tickets, lodging and special VIP Tickets, contact Rob Patz at 360-933-0741. Romans 8:28 (KJV) -- And we know that all things work together for good to them that love God, to them who are the called according to his "purpose". The purpose of Purpose is to share the gospel of Christ through song. It is our desire to share "our stories" of what God has done in our lives to others! Through our sharing, we give all praise to God for Who He Is! This family group is made up of Chris and Karen Connell, and twin daughters, Hannah and Heather. 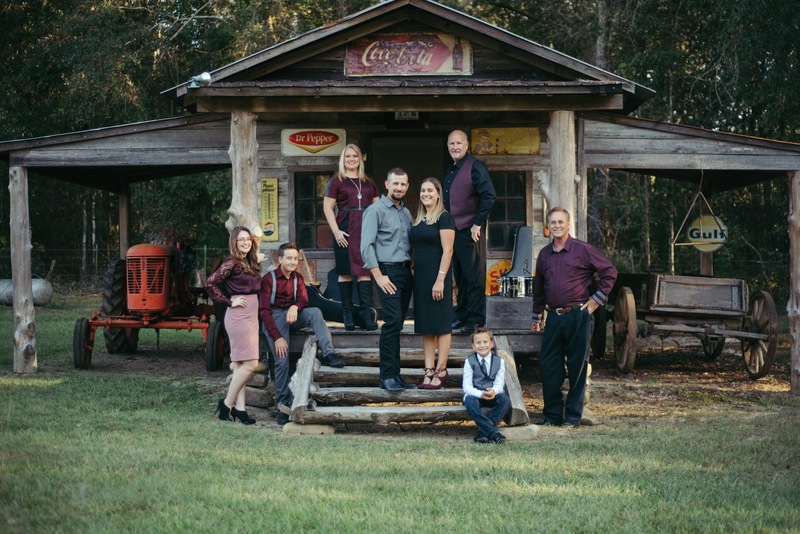 Chris and Karen traveled extensively during the nineties with the Southern Gospel group known as “The Genesis Quartet” The course of that ministry was changed when Chris was called to Cornerstone Baptist Chapel in Waco, GA as pastor. After serving churches in GA, AL and TN over the past 25 years, the family now resides in Jacksonville, AL. Chris is currently serving as pastor of Fairview Heights Northside Baptist Church in Anniston, AL. In addition to church work, the family feels a calling upon their lives to carry the message of the gospel through song. The twins, are coming into their own in the area of ministry and have a real heart for sharing their God given talents. Through the close family harmony and testimonies of God’s grace and mercy, the family wishes to spread the good news that Jesus saves! 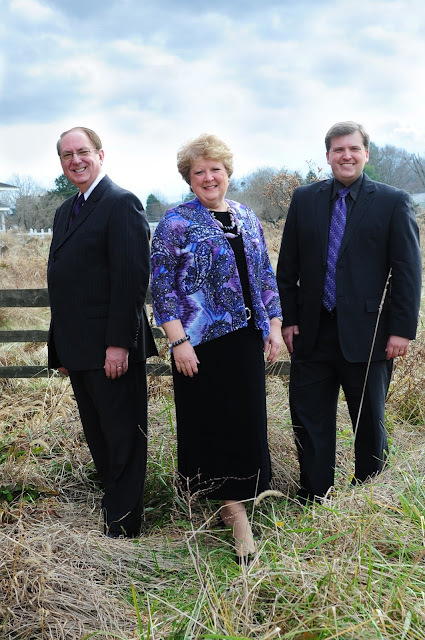 The music is Southern Gospel and true to the tradition and inspiration of the standard hymns with a progressive flavor. The Indian Gap Trail brought the first Europeans to the Pigeon Forge area in the early 18th century. Along with hunters and trappers from North Carolina, traders from Virginia had passed through the valley before 1750. Sometime after 1783, Colonel Samuel Wear became one of the first permanent Euro-American settlers in the Pigeon Forge area. Wear, a veteran of the American Revolution, erected a stockade near the confluence of Walden Creek and the Little Pigeon River (what is now Pigeon Forge City Park) in 1792. This "fort" provided a safe stopover for the early pioneers in the Sevier County area. Wear would later serve as a member of the committee that drafted Tennessee's state constitution. In 1785, the Cherokee signed the Treaty of Dumplin Creek, ceding much of what is now Sevier County to the United States. Among the first to take advantage of this was Robert Shields (1740–1802), who received a survey for a tract of land in the Pigeon Forge area from the Watauga Land Office in 1786. Shields, who like Wear was a veteran of the Revolution, established a small fort along Middle Creek (near what is now Dollywood). Shields' son would later write that the fort was 100 feet (30 m) long and 16 feet (4.9 m) wide, with 12-foot (3.7 m) walls constructed with "heavy logs." The fort contained living quarters for six families, with a common kitchen at one end and a common living room at the other. As his family grew, Shields constructed separate houses for his children, one of which was purchased by Horatio Butler in 1797 and remained with his descendants until being torn down in 1994. Although the Shields Fort was too far from the main Cherokee trails to ever experience a serious assault, the Wear Fort straddled the Indian Gap Trail, making it a popular target for small bands of Cherokee warriors. After the Cherokee attacked his fort in 1793, a frustrated Wear led a band of 60 frontiersmen across the northwestern Smokies into the Overhill Cherokee region. The frontiersmen attacked and destroyed the town of Tallassee (near modern-day Calderwood Dam), killing at least fifteen Cherokees and capturing several others. In 1794, the Cherokee fired on Wear and his two sons just outside Calvin's Blockhouse (near Maryville), although the Wears escaped unharmed. While treaties negotiated at the Tellico Blockhouse in 1794 and 1798 brought calm to the region, sporadic fighting between Cherokees and the settlers continued. One notable incident occurred in 1802, Tavenor Runyan (1787-1802), the son of Isaac Barefoot Runyan (1749–1845) and Margaret Rambo (who had settled near the heart of modern Pigeon Forge), was killed by a Cherokee warrior. The recently elected Governor Archibald Roane was forced to personally intervene to prevent retaliatory strikes.